The photos may be in color, but the transformation they capture is as black and white as the little dog’s fur. 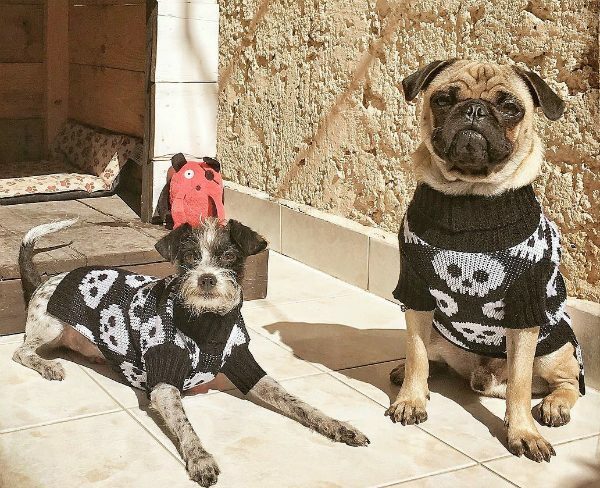 Now known to his Instagram friends as Emmett London, this Miniature Pinscher–Chihuahua–Poodle mix had no name and no smile when Janni Nilsson adopted him just over a year ago. “He had this blank stare in his eyes, kind of like he wasn’t really there,” says Janni, who documented Emmett’s return to himself through social media. The evolution of her Instagram account has a lot in common with its subject — a bit shaky at first, but the pictures become clearer as Emmett stopped trembling. The pair met in November 2015 after a photo of Emmett on Facebook caught Janni’s attention. 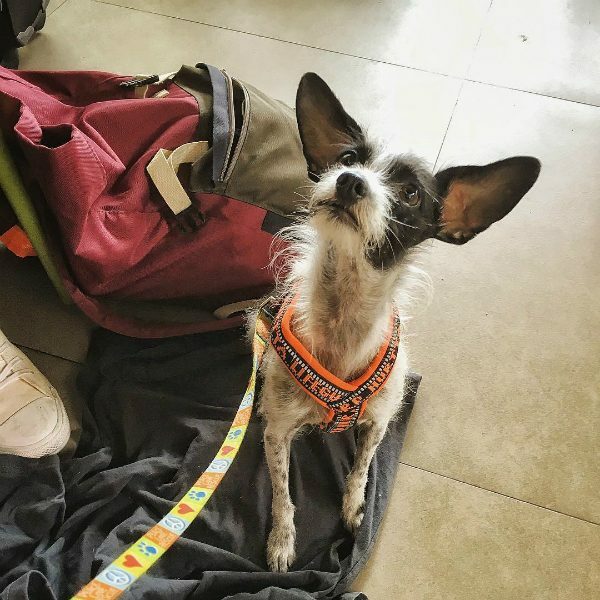 Originally from Sweden but now living in Mexico, Janni wasn’t looking to adopt a dog, but the posting was only asking for a foster home for a former street dog who was having a hard time adjusting to shelter life. When Janni saw Emmett’s big ears and mohawk hair, she just couldn’t resist and offered to foster him. 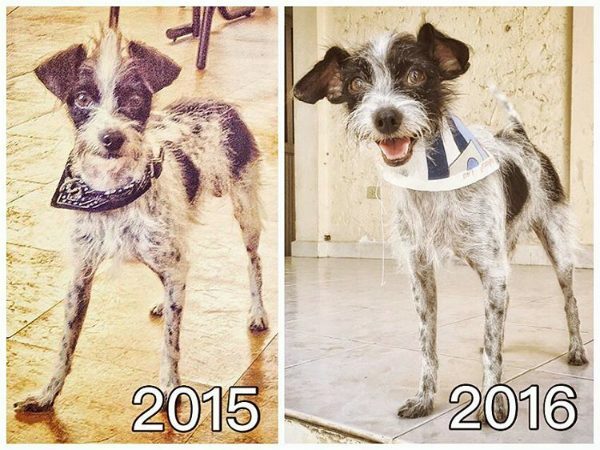 “I never planned to adopt Emmett, but I met him, and he was one of the most traumatized, terrified, and broken little dogs that I had ever met, and I felt the need to see if perhaps I could help him,” she recalls. At just a year and a half old, Emmett’s demeanor suggested he’d suffered a great deal in his short life. He didn’t walk as much as he crawled around in a perpetual state of fear. According to Janni, even the gentlest touch from a human would send Emmett into a screaming panic. “It was clear that someone had been very mean to him. I don’t think he had just been ignored or neglected, I think he’d been severely abused,” she says. Meeting Emmett was a turning point for Janni, who previously didn’t know if she would ever share her life with a dog again after Beily. Janni’s best friend for four years, Beily had been a birthday gift from a former roommate in Mexico City. When dog and human met, Beily was just a puppy, and Janni, a young international traveller. Although it was customary for people in her neighborhood to keep large-breed dogs outdoors, Janni didn’t want that kind of life for Beily (who grew to be 60 pounds). When the time came for Janni to leave Mexico, the pair road tripped up through the United States to Washington D.C. before flying to Sweden. 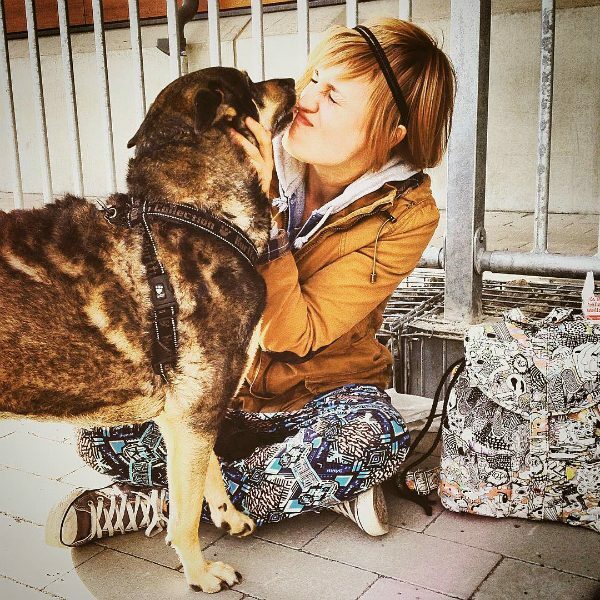 “She lived with me for another two years over there,” explains Janni, who never meant to stay in her home country for so long, but felt compelled to when she saw how happy her dog was there. She delayed her own happiness for Beily’s, but eventually Janni could no longer put off returning to Mexico. She made the heartbreaking choice to leave Beily in the place she loves, with a human who could offer her an amazing life. Because of her experience with Beily, Janni wasn’t looking for a long-term dog relationship when she offered to foster Emmett, but one year after shocking herself with the decision to adopt, she’s very pleased to be committed. “As it has turned out, Emmett was the perfect addition to my life, and a perfect fit for my lifestyle,” she says. It didn’t happen overnight, but the 9-pound street mutt has blossomed in Janni’s care, and she says she can now see some depth behind his beautiful eyes. Once timid Emmett will now approach human visitors for affection. He’s also very confident around other dogs, thanks in no small part to Janni’s roommate’s dog, Hugo the Pug, who moved in two months after Emmett. Janni is thrilled to see Emmett making friends, and considers herself privileged to be his person. “I can’t explain how amazing it has been to see him develop into the dog that he is now. If a dog like Emmett can recover from a troublesome past, any dog can,” she says. 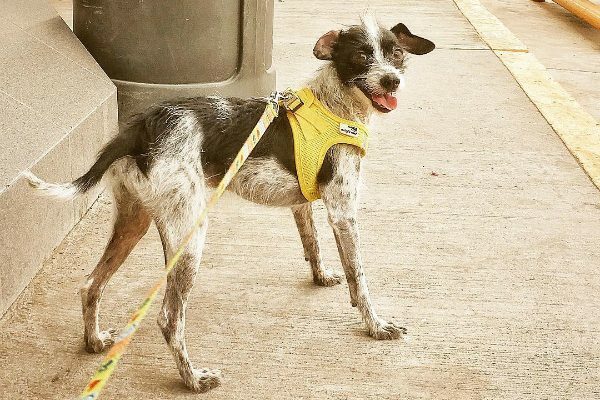 The post Once Abused, Emmet Overcomes His Past to Become a Confident, Happy Dog appeared first on Dogster.